Over the lifetime of the Club, it has participated in,or actively supported, diverse international projects. The Club participates on an annual basis in various worthwhile international projects - currently The African Children's Choir. The Club has led a project to provide educational literature to Mongolia & participated in aid convoys to Belarus & Kosovo. It has supported " Habitat for Humanity" and is a regular contributor to Shelterbox appeals. Through financial contributions it supports the work of REMIT and the Jaipur Limb project. The Club has also sponsored a student on a Group Study Exchange visit to Nepal. 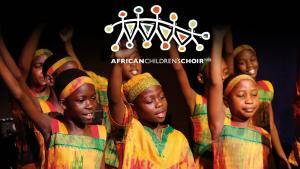 A children's choir from Uganda tour the world as part of their educational development.